T30UX Series w/ Analog Output. 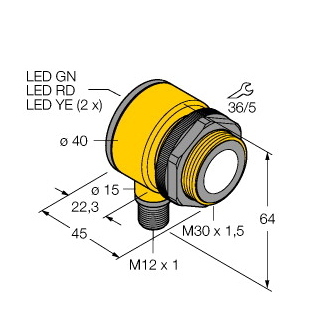 Range: 100 mm to 1 m; Input: 10 to 30V dc. Analog Output: 0 to 10V dc. 2 m (6.5 ft) Cable. Range: 100 mm to 1 m; Input: 10 to 30V dc. T30UX Series w/ Analog Output. 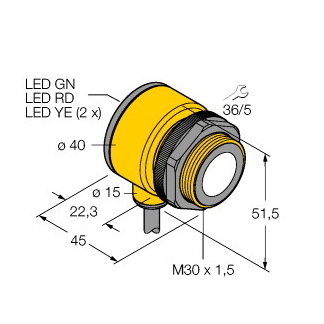 Range: 100 mm to 1 m; Input: 10 to 30V dc. Analog Output: 0 to 10V dc. 4-Pin Euro-Style integral QD. T30UX Series w/ Analog Output. Range: 200 mm to 2 m; Input: 10 to 30V dc. Analog Output: 0 to 10V dc. 2 m (6.5 ft) Cable. 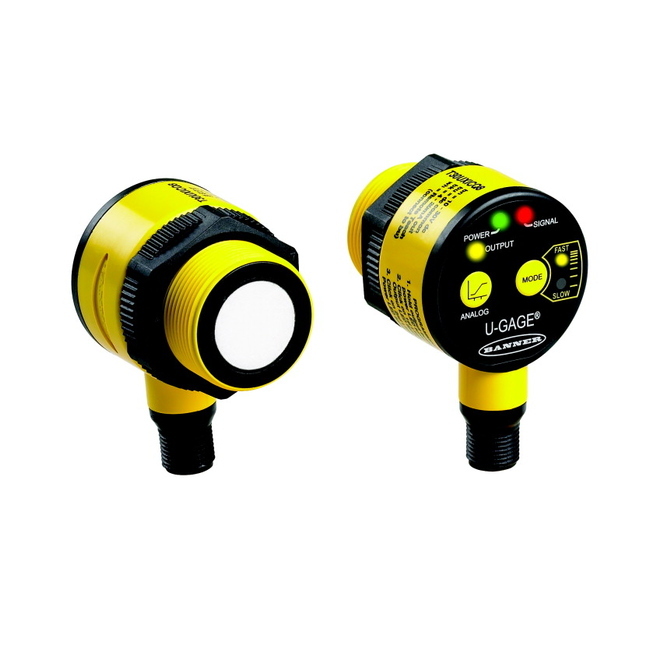 Range: 200 mm to 2 m; Input: 10 to 30V dc. T30UX Series w/ Analog Output. Range: 200 mm to 2 m; Input: 10 to 30V dc. Analog Output: 0 to 10V dc. 4-Pin Euro-Style integral QD. T30UX Series w/ Analog Output. Range: 300 mm to 3 m; Input: 10 to 30V dc. Analog Output: 0 to 10V dc. 2 m (6.5 ft) Cable. Range: 300 mm to 3 m; Input: 10 to 30V dc.